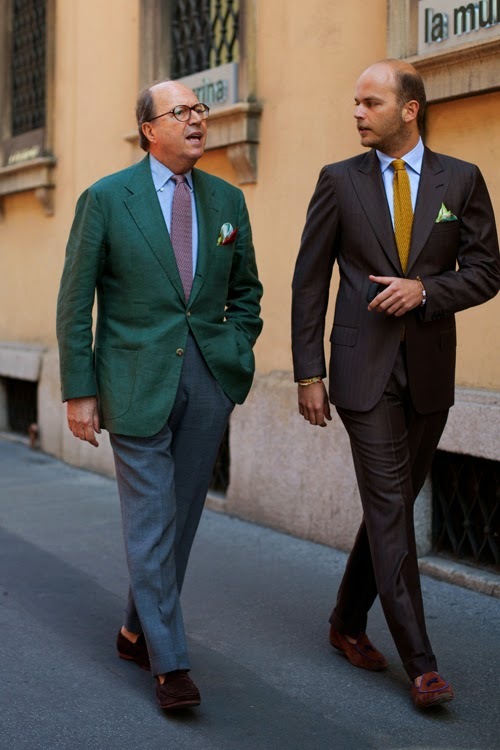 In an age where suits no longer dominate the workplace, more and more men are wearing separate jackets and trousers. But while the dress code is more relaxed, the outfit is suddenly more complicated. 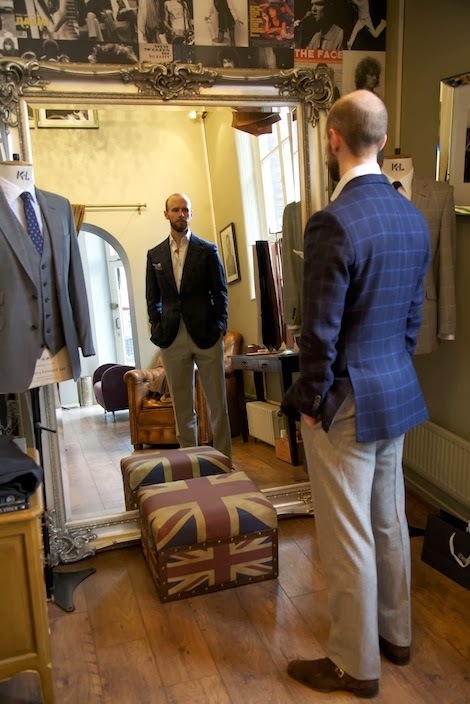 There is much broader range of cloth, colour and pattern to choose from, and two decisions to make, rather than one. It doesn’t help that the suit is the worst place to start from: almost nothing is going to go with your navy jacket or trousers. The key to wearing separates is contrast. Both items must clearly be differentiated from each other. The easiest way to do this is through colour, then pattern. Design details such as contrasting buttons and patch pockets can also help differentiate the jacket from a suit. And although contrast in cloth is also worth considering, more often keeping the two materials similar in their formality is the best option. First, colour. Grey flannels and cream summer trousers have always been popular as separate trousers because they are neutral in colour and provide sufficient contrast to any dark jacket. In my case, above, the pale-grey flannels are even more versatile, and contrast with the brown Rubinacci jacket where a darker grey would not. This of course leads to the classic separates outfit: navy blazer and grey trousers. Bear in mind, however, that any navy suit jacket will not work as a blazer – it needs something to set it apart from a suit, such as brighter/paler buttons or patch pockets. A stronger blue not normally associated with a suit would work, as would a strong pattern such as a windowpane check (see image at top). Colour is always the easiest thing to vary, however. Mariano Rubinacci does so admirably above with a gingery linen jacket (Happy Birthday Mariano…), while Luca Rubinacci prefers stronger colours. Note, too, that the materials are similar in their formality – and for formality, read roughness. Mariano’s linen jacket with his fresco trousers; my donegal-cashmere with flannels; Luca’s linen/silk jacket with gabardine: all have a similar-enough texture on bottom and top. The only exception, I find, is when the materials might be too similar to allow contrast. 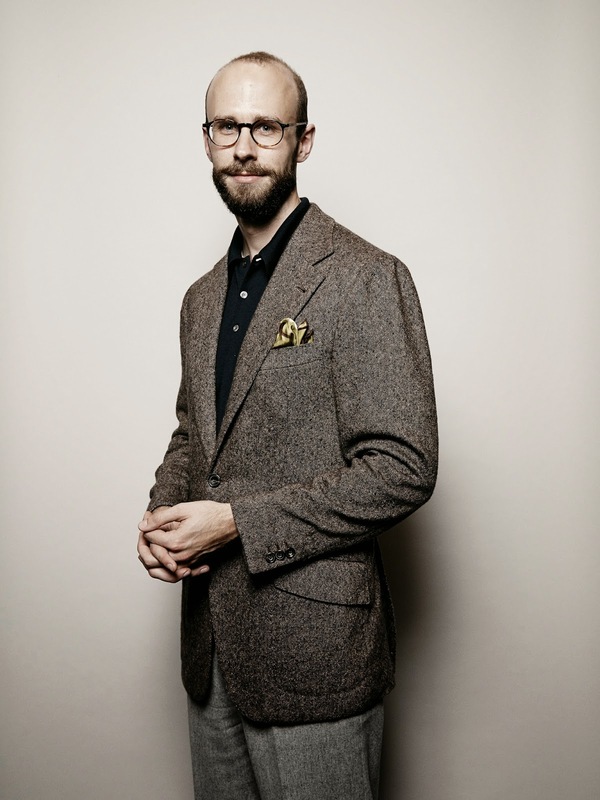 My Liverano jacket, for example, works best with smoother gabardine or worsted trousers. See also post here with large selection of photos (only some of them of me…). If you’re starting from scratch, keep it simple: just grey trousers, perhaps mid-grey flannels and pale-grey frescos; then any dark jacket that is obviously not part of a suit. Once you start looking around, you’ll find plenty of other combinations you’ll want to mimic. You can follow the discussion on How to wear separate jackets and trousers by entering your email address in the box below. You will then receive an email every time a new comment is added. These will also contain a link to a page where you can stop the alerts, and remove all of your related data from the site. Are there any tips you can bestow on how to tell what fabric it is from a photograph? For example Mariano’s green jacket looks like linen to me as it looks slightly rougher and a little creased but that is just me hazarding a guess. Also the construct can make the material appear a lot heavier/lighter than it actually is. 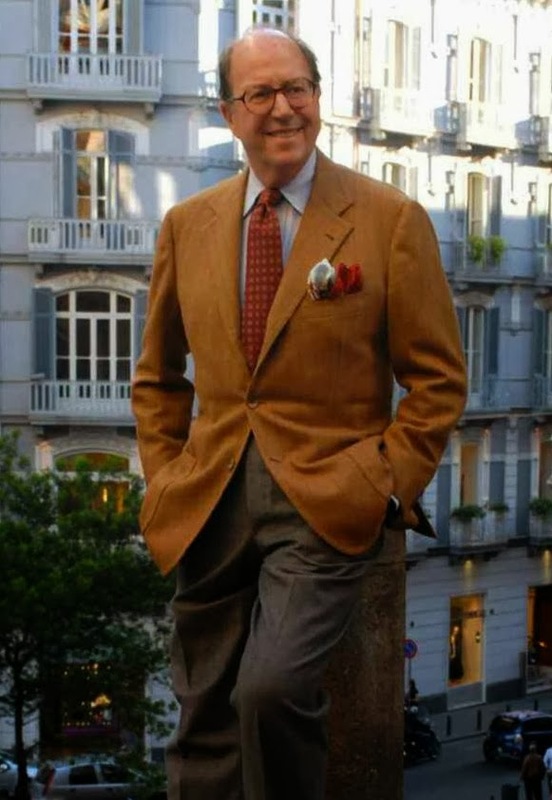 I don’t know what material Mariano’s jacket is, but that doesn’t matter that much – just bear in mind that the jacket and trousers are often better when they are similar in texture. On construction, it’s the external finish that’s most important. I note that most of your examples involve lighter pants and a darker jacket. Do you think the reverse is just as easy to pull off — a lighter jacket paired with darker pants? Say, strong-blue pants with a light grey jacket? Generally lighter trousers is easier to pull off, and the darker jacket is more formal. But the other way around is pretty simple too. Try starting with some slim navy chinos, charcoal gabardine or dark brown moleskins. I am considering getting a mid grey blazer, in a sort of hopsack like fabric and patch pockets. While it is clearly not part of a suit, I am still dubious on how to pair it. In my mind mid grey should be the most versatile colour there is, but it does look odd next to navy chinos, green chinos and perhaps denim. I already own two navy and one red blazer, hence the addition. Thoughts? I have a light grey herringbone jacket, a tan and charcoal herringbone jacket, a black and white plaid jacket and a mid-grey Donegal Tweed jacket that are all great with charcoal trousers. In summer I wear a cream linen jacket and a tan silk/cotton jacket with navy or brown trousers. I find that it goes both ways very easily. I don’t have so many dark jackets apart from navy blazers. Very nice coloured light grey trousers in your second picture! Where (Maker or Bunch) are they from please? Once again, Simon, an excellent post about separates. I struggle with finding flannel trousers, often just ending up with grey wool rather than what I think are proper flannels. What brands would you recommend and what are the watchouts to make sure I am selecting the right style/ fabric? It’s not something I’ve been able to perfect so well just yet, I’ll keep trying. It’s an interesting subject. Nice article, but I disagree with the idea that a suit jacket can’t be re-invented as an odd jacket. You mention the more casual office dress code. That often means mid grey to charcoal pants (with shades of brown and navy in rotation). Generally speaking not light colored trousers. Any suggestions for jacket colors? Very sensible advice, thanks. As an aside, what are your feelings on sleeve dressing on odd jackets. Where do you weigh in on the 1-4 button range? I don’t think it’s a big deal, but I would usually have three on an odd jacket. Or one if it was Neapolitan, just because it’s the tradition. Simon- first time to your blog, which is a wealth of information. Nice tip on how to wear separate jackets and trousers. I have a feeling this is more of an European than American kind of thing, but it’s still a great way to go nonetheless. Perhaps, though the Americans are the ones who dominate the navy-blazer-and-grey-trousers look. The key is contrast, as you seem to have understood already. Charcoal trousers, as long as the jacket is too dark a grey, or black as you mentioned, or even a deep brown would work well. If you’re worried about combinations though, steer clear of a waistcoat. Very hard to pull off as a third colour/texture. Great article! Any advice of what type and colour trousers to wear with a grey herringbone tweed jacket? That sounds like a very versatile colour, so lots will work. Navy chinos, for example, or tan/cream at the other end of the spectrum. Denim should work, and if the grey is pale enough, charcoal trousers too. Just remember to keep some contrast in the colour of the two, but the formality similar. PLEASE don’t show sports jackets, blazers and even suits worn with open-necked shirts! This style may be popular but it is sloppy and unfinished. PLEASE don’t wear this combination with an open-necked shirt, which (however popular it may be at present) looks sloppy, unfinished and incongruous. If not a tie, wear a roll-collar jumper (turtle-neck sweater). How would you feel about a pin stripe jacket with a different pair of trousers? What’s the opinions on wearing patterned trousers, with a tweed coat, so for example grey check with navy tweed blazer? Or check trousers with a tiny checked blazer? Or is the rule generally self coloured trousers with a patterned sports blazer? Hi Simon. I’m struggling with finding a jacket colour to go with some trousers. They’re an earthy grey/brown. Would a patterned dark charcoal work? Or should I steer more towards navy? Do you think mix matching trousers and jackets for a more formal event is a good idea. Lets say for a wedding party (as a guest). For a dark/medium dark grey jacket, which clearly is not a part of a suit but not casual by any means, what color would you recommend if staying on the more formal side? I’m having a little trouble. I just started work and I’ve been putting together random pants and blazers I previously owned. The dress code is business professional. Although no one has said anything, compared to the matching suits they wear I feel more like I have business casual. I’m 5’9 so I’m more likely to wear flats also. What do you think? Should I try better to match things up or is it ok to wear separates? Just re-read my post…almost didn’t make sense. What I placed against a pair of black trousers was the herringbone jacket..
Hi, I’m relatively new to this, so I hope I could get some advice. I picked up a jacket in a sale, seemed like a good deal. No trousers available though. It is a dark navy blue with black satin peak lapels, a single-button tuxedo jacket tailored from a textured blend. Is there anything you could recommend I pair it with? Don’t worry Dean, that’s what I’m here for. As a general rule, no you wouldn’t wear a tux jacket like that separately. It’s going to be hard for it not to look like one half of a suit. However, try black woollen trousers, ideally with a black satin stripe that matches the lapels. Matching the navy of the jacket is going to be difficult, but satins don’t vary too much. I can’t guarantee it will work, but that’s your best chance. Thank you for the advice Simon, appreciate that. First of all thank you for all you’ve put into this blog. It has been most informative and educational. As regards odd jackets, a friend has passed me a length of dark brown kid mohair/wool blend that it nice and porous. However, there is only enough fabric to make either a jacket or a pair of trousers but not both. I know that most would say that mohair might be too shiny for a casual-ish summer garment, but do you think a dark brown mohair/wool sports coat could work? It’s hard to say without seeing it or knowing the exact blend, but I’d say it’s unlikely. It’s less that it’s too shiny, and more that it’s too crisp and sharp. Both things suggest formality, almost more so than worsted (normal suit cloth). Thanks for your input. Having looked at it more closely, it does seem more starchy than the worsteds I’ve handled. Having said, I don’t suppose you might think that the detailing (patch pockets, lighter coloured buttons) may offset the formality a little? My suit jacker is a lighter black compared to my slacks. Both are black just that my slacks are darker. Would it be weird if I wear them both to a formal event? Thanks. Another great article and particularly useful to me, as I often wear a Herringbone jacket very similar to http://goo.gl/5jMLfG for work. Usually with a dark polo neck or slim fit shirt. In the past I’ve always gone for darker trousers/smart jeans, recently however I’ve invested in a pair for Cheaney dark leaf coloured shoes and I’m slightly concerned that dark trousers would no longer look right with mid brown (conker coloured) shoes. Is there any colour trousers/smart jeans that would work well with the Herringbone jacket and the brown shoes? Should i go for a lighter colour perhaps? Thanks for your advice, Simon. I think I’ll take a look at some creams/lighter greys etc. Out of interest, what’s you view of burgundy coloured jackets with a subtle check pattern? Troublesome colour to match, perhaps? Seems to be a colour that many people avoid in favour of the classic blue. Really just interested to hear your views. Can be nice, but yes tricky to match Mark. You’ll end up with charcoal, I’d imagine, or cream. Just brought Raging bull Herringbone Blazer – Blue over Check. Please advise on jeans or chinos and colour, shirt and shoes. It would be interesting to see a post on “advanced” combinations, like how to wear the same shade top and bottom. What looks best with a bright green tweed jacket? How about a summer-weight gun check? Finally a traditional POW (light brown)? A powder blue fresco? My tailor has narrow tastes where odd jackets are concerned, are their national differences in color matching? Btw vis a vis the unfinished look of open necked shirt with odd jacket or suit, only very few doctors at my hospital are wearing ties and jackets, maybe 25%. Times change. I would never say my open neck is superior to a tie but comfort is becoming more important to physicians. I had a brief question about the term “flannel.” Do you mean to conflate woolen and worsted flannel, which I understand to be different? Or should they be considered differently when thinking about how to pair odd coats and trousers? Ive a check blue waistcoat and jacket and brown check trousers. I think it works but something tells me its not quite right.?? No, I wouldn’t wear different checks together like that. It’s likely to clash, even if subtly. 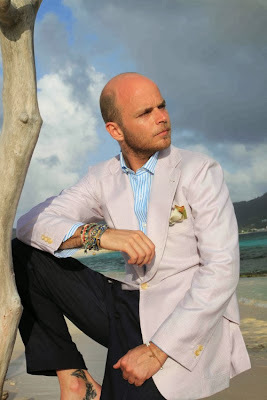 What fabrics to you recommend for a sport jacket and trousers that I can wear in both spring and fall seasons? That is a very big question, but the short answer is that in spring and autumn you can wear most cloths. It’s summer and winter when you have most issues. Simon, have you ever matched hopsack with hopsack where the color and finish differ? E.g., tan hopsack trousers in a very light wool with a gray silk-wool hopsack jacket? Or is the similarity of the weave problematic? I am aware that this is a no-no, but I had a navy suit with light blue pinstripes. The pants were destroyed and I want to use the jacket as a separate, despite it being a bad idea. Provides some room for experimentation/imperfection. Any suggestions? Hi Simon, I’ve recently had a blazer made in a beautiful deep blue kid mohair cloth. It’s probably a couple of shades lighter than midnight blue. Wondering if I can pair it with charcoal trousers or if that would result in blending with one another. I’ve noticed most men go mid grey flannel but I’ve already got charcoal ones sitting in the closet. If I could go back I’d go for a lighter blue but at that moment in the shop I just instinctively went for this cloth. Pardon me for hijacking an old thread, but would an odd jacket in French blue wool/linen/silk cloth work well with mid-grey trousers in a similar wool/linen/silk material? Or are the cloths ‘too matching’? I’ve followed your blog for the better part of this decade and it is just a wonderful repository of incredibly useful insights and information. Please keep it up! It would depend on the mix, weave etc, but I would avoid that, yes. Many thanks! What kind of cloth would you suggest for trousers to complement a wool/linen/silk odd jacket? Off-hand, I’m thinking perhaps Finmeresco? Simon I was wondering if you had any tips on what trouser fabric to wear with a dark navy mohair hopsack blazer. I’ve tried to pair with flannels but the jacket looks a little too sharp for more casual flannel cloth. Would a cavalry twill/whipcord or something else work better?